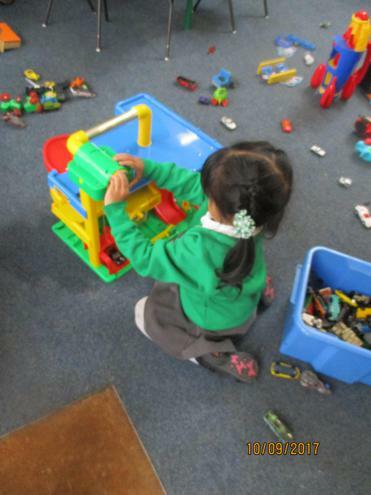 Nursery doors open at 8.45am to welcome children in. 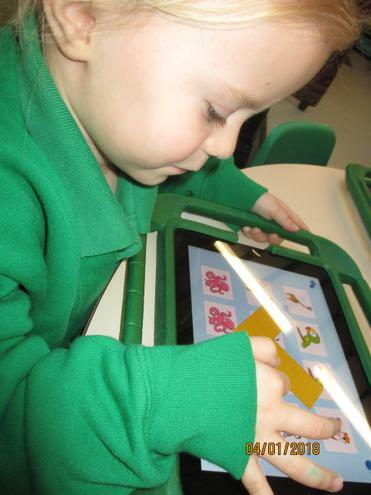 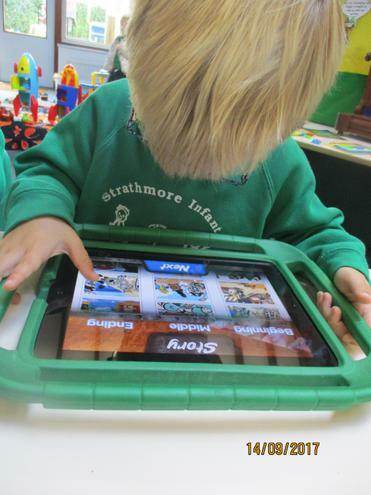 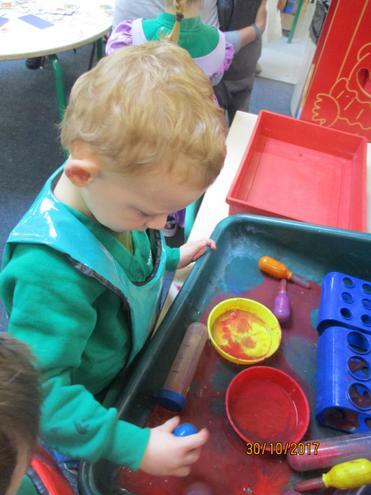 The main Nursery session ends at 11.45am, parents may choose to extend this by 1 hour by also signing up for lunch club. 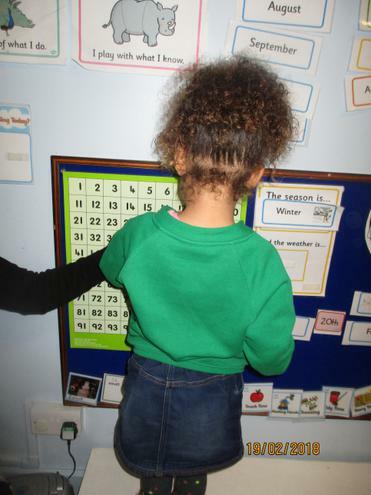 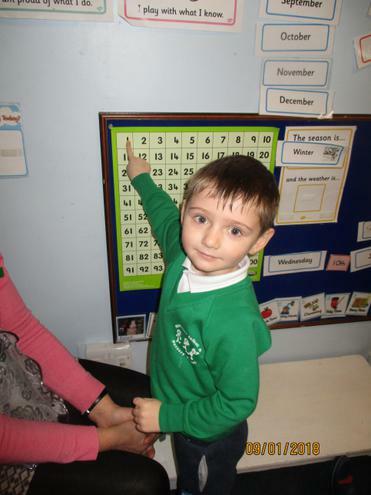 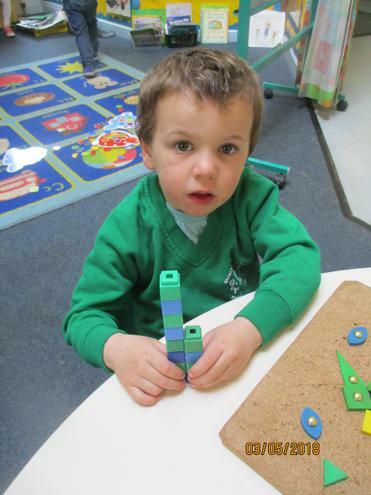 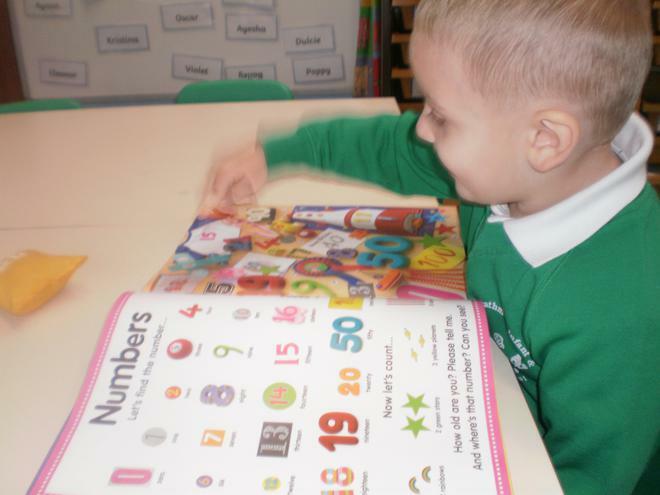 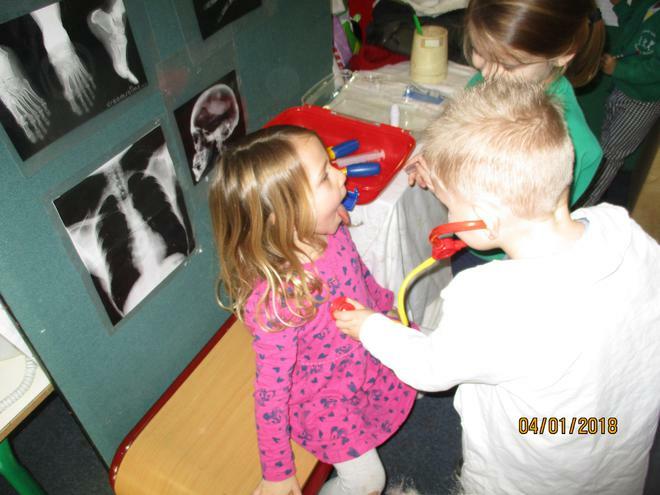 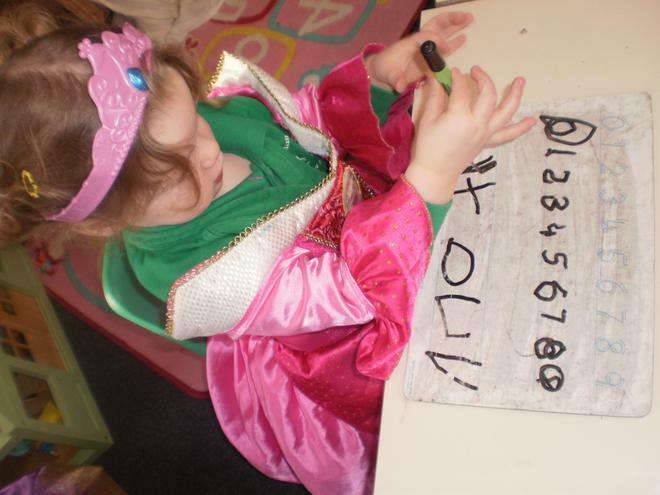 If you have any questions about your child or about learning in nursery please ask. 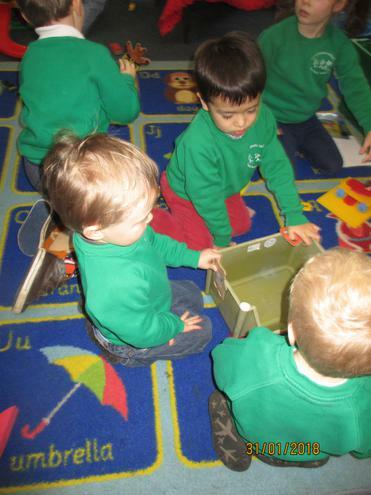 In nursery we start with a few minutes settling in. 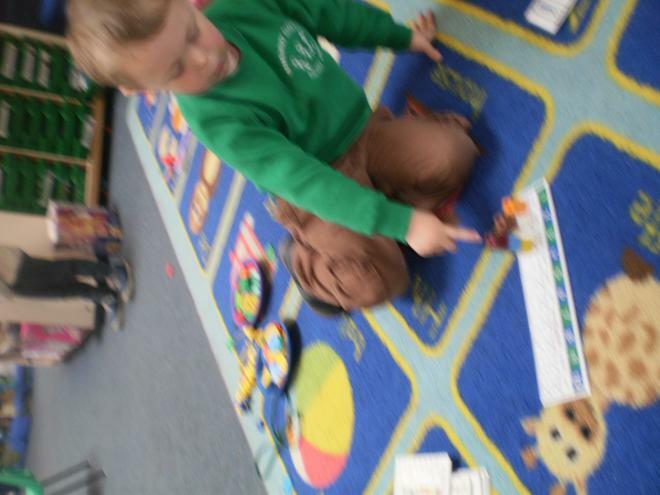 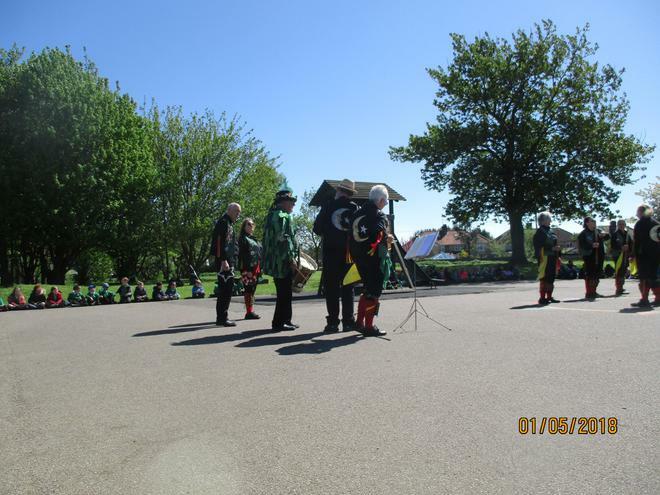 We begin with a carpet session where we find out the day of the week and the date. 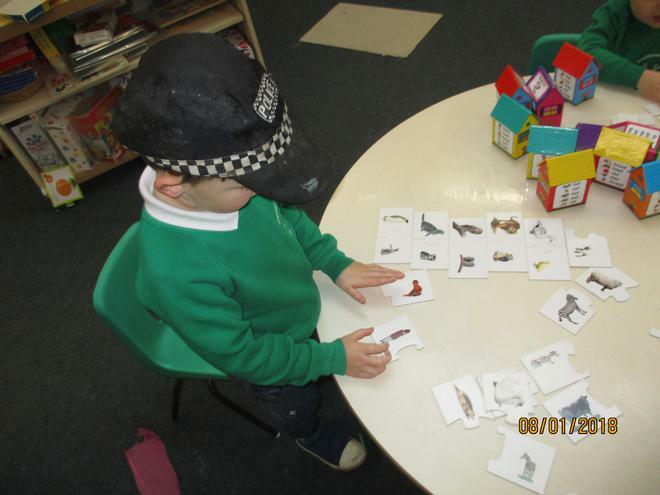 We also learn Nursery rhymes, words and actions. 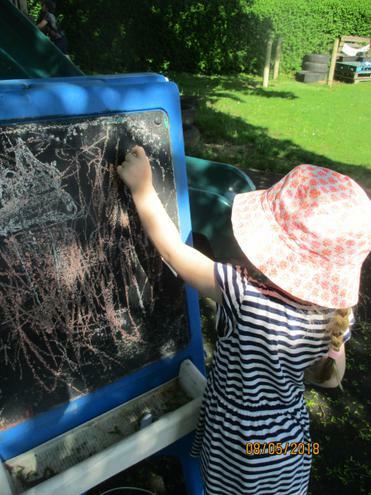 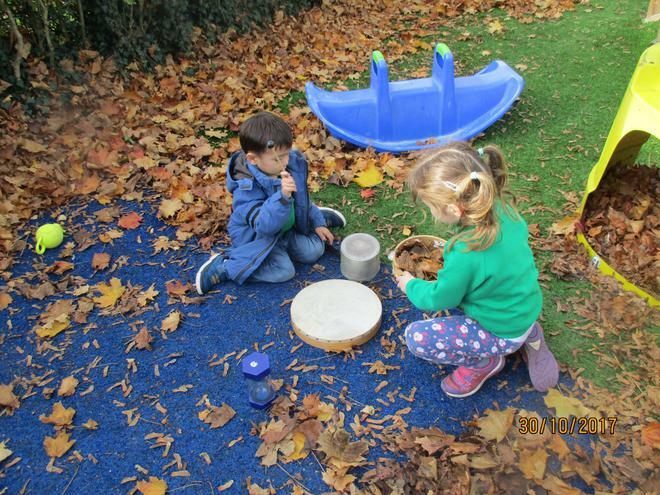 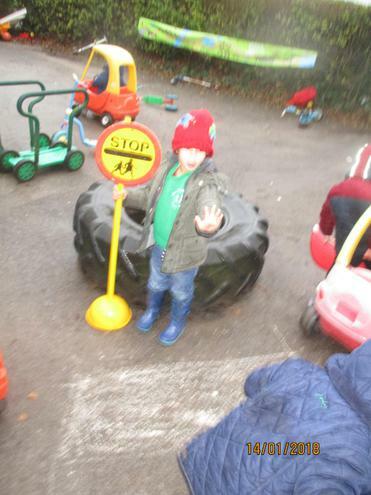 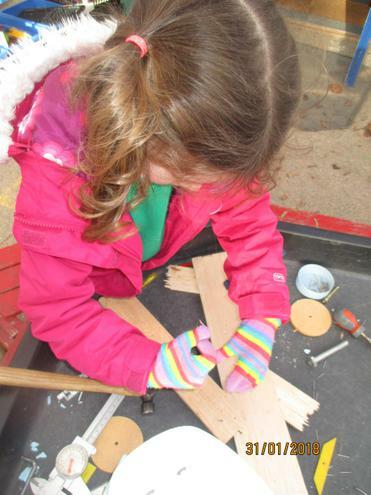 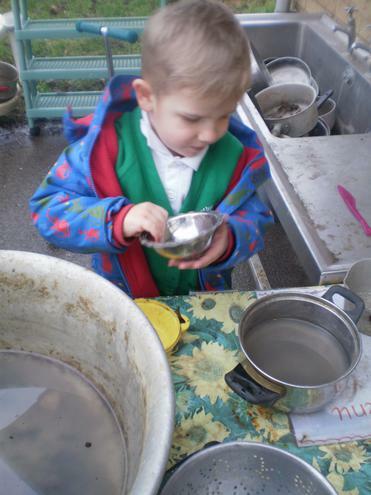 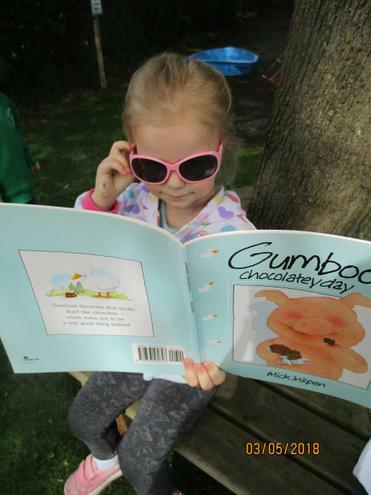 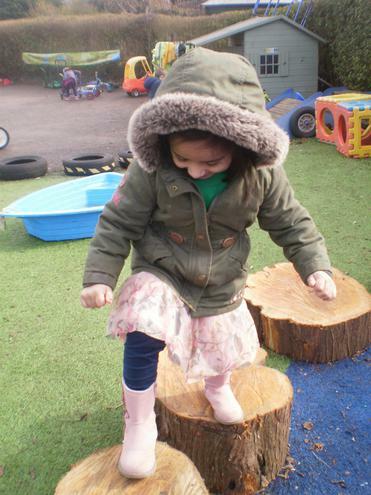 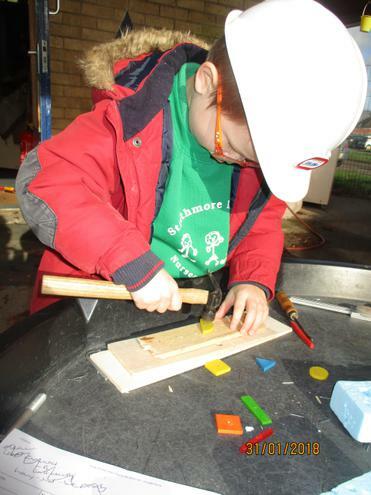 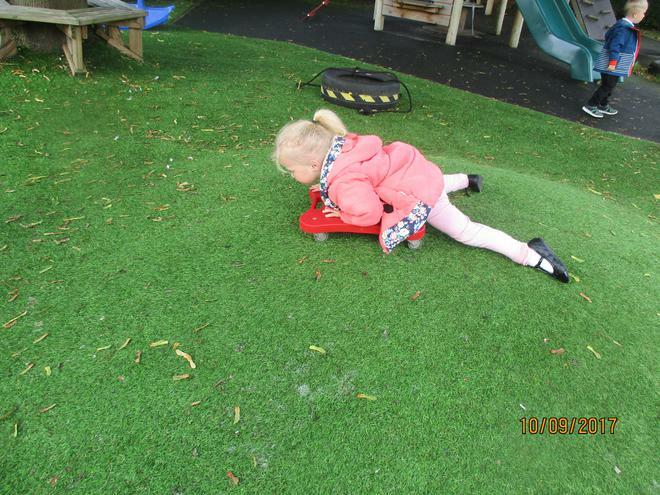 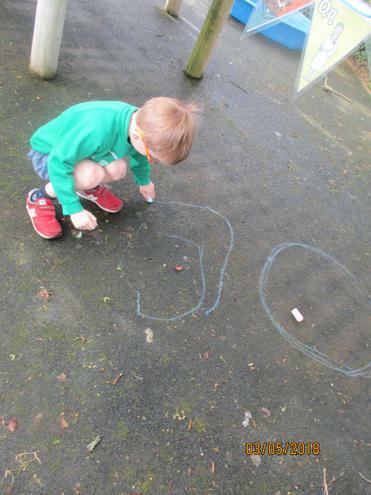 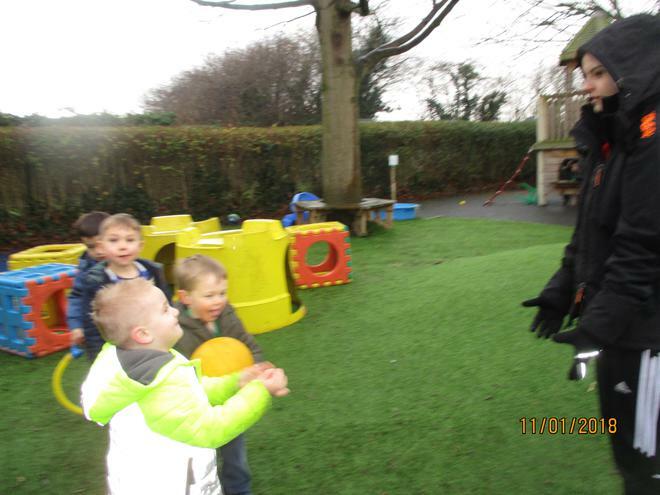 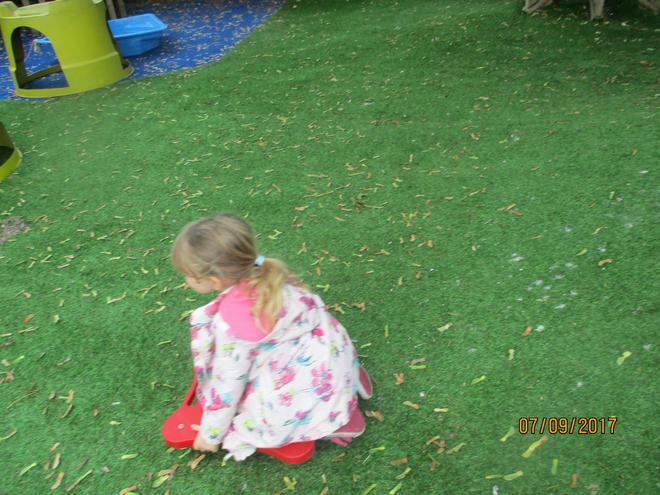 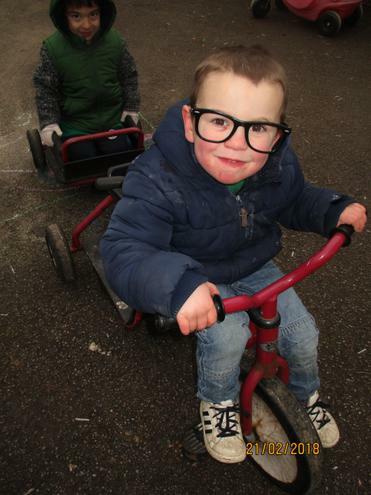 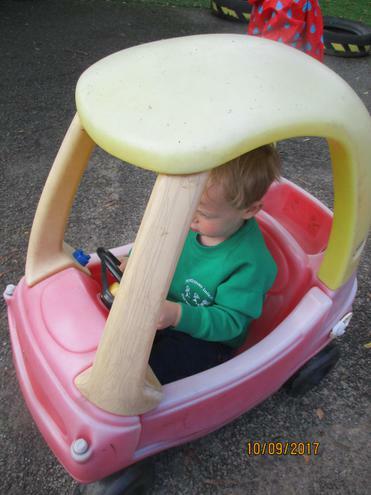 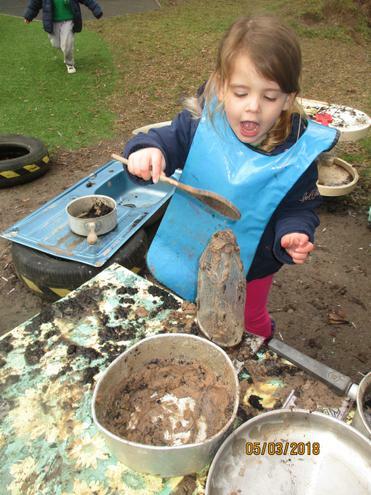 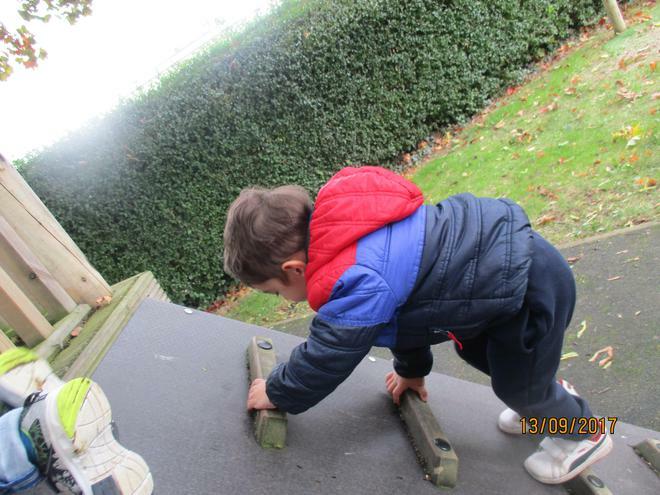 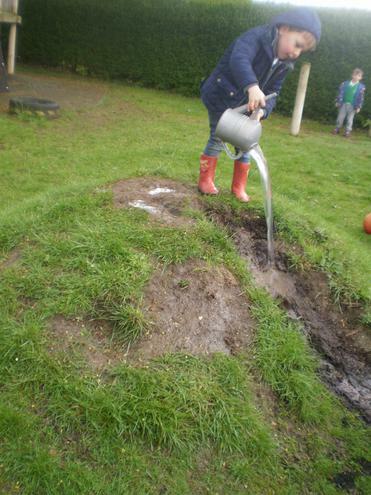 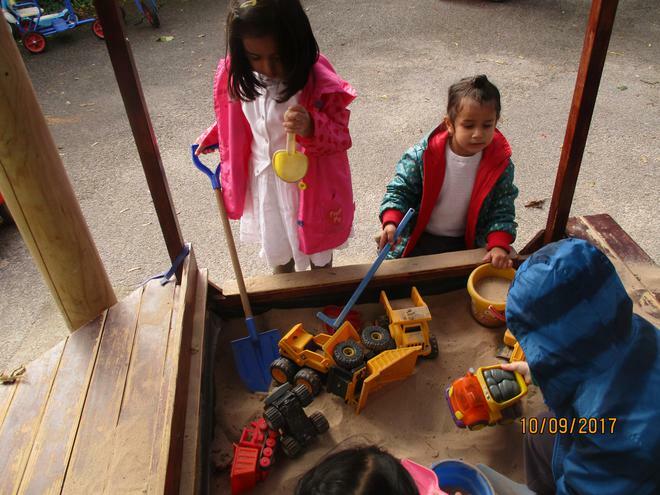 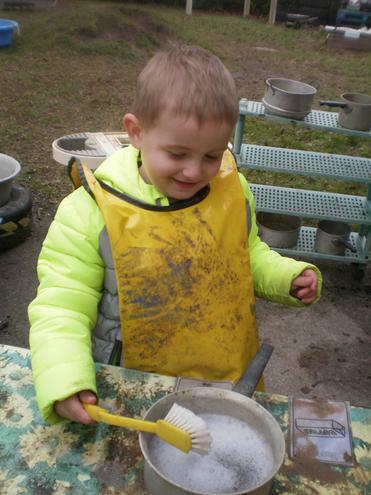 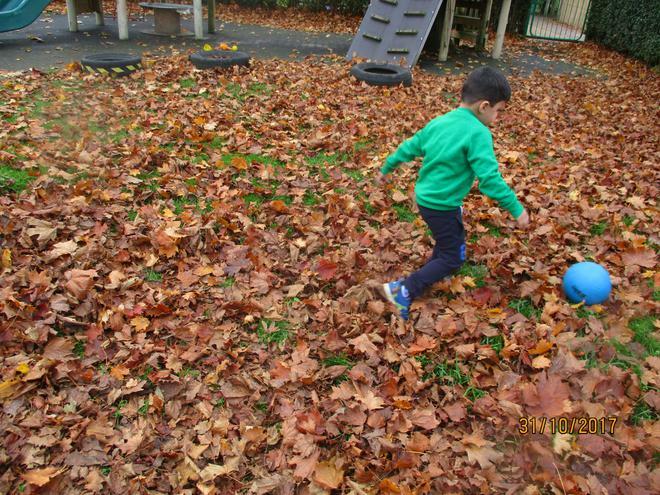 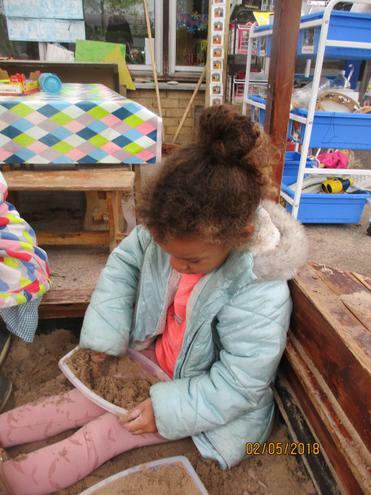 The children may then choose to go inside or outside, to initiate their own learning, or to take part in an adult-led activity. 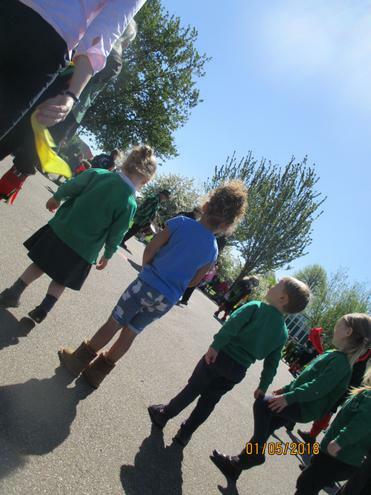 Mid-morning all the children are encouraged to sit down and have a snack and drink, and talk to their peers. 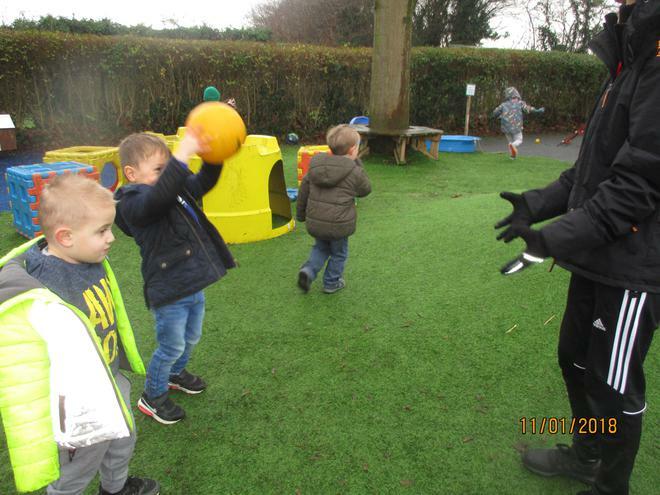 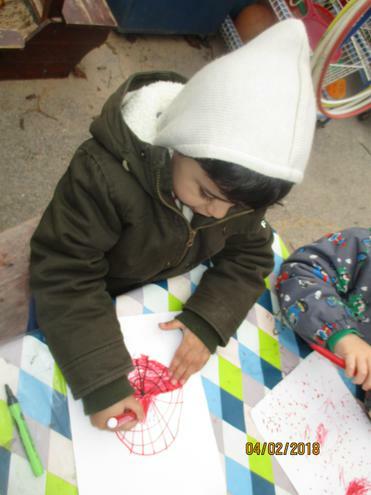 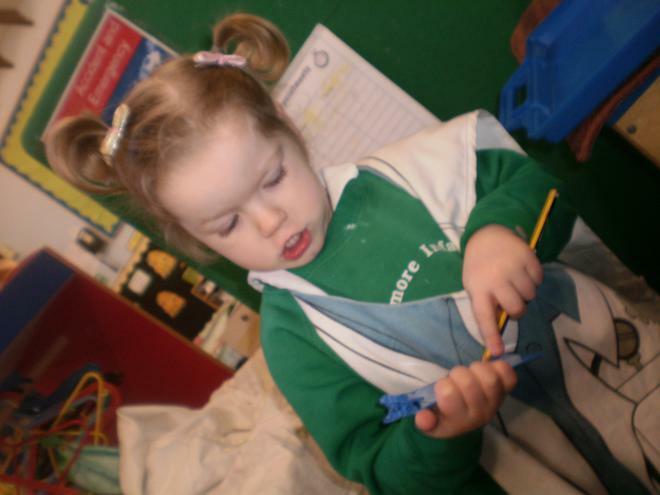 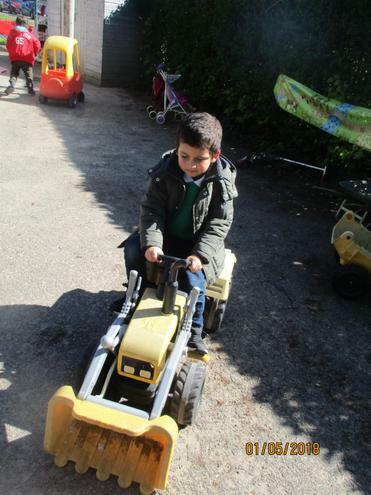 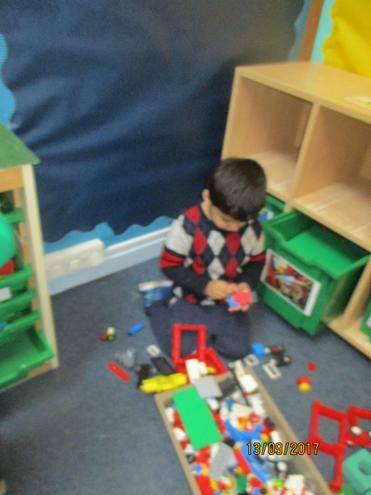 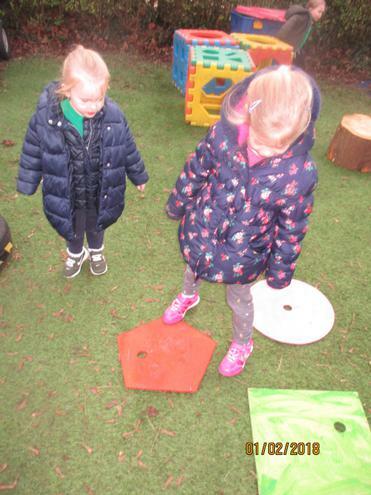 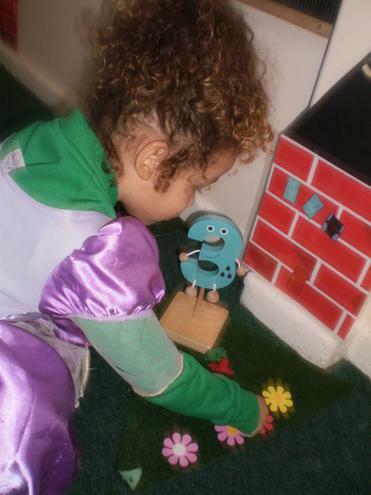 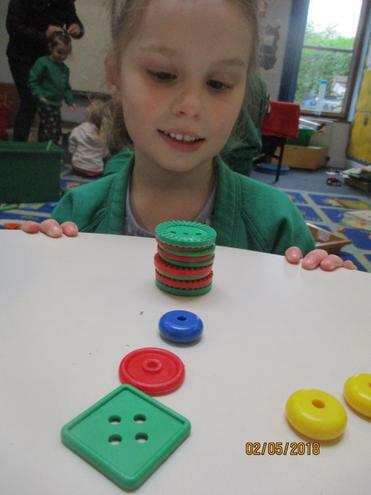 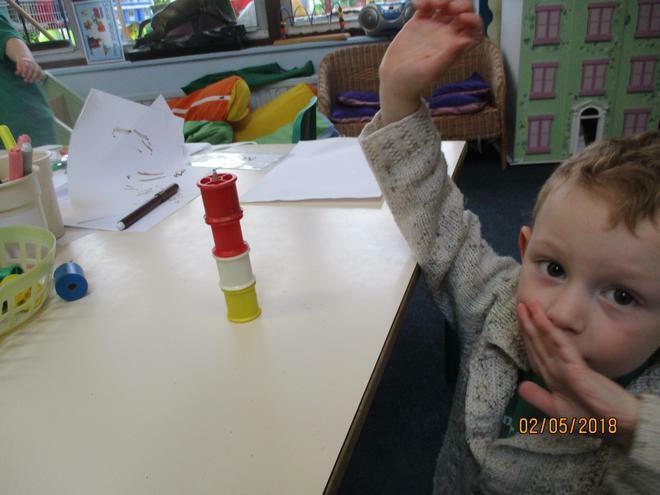 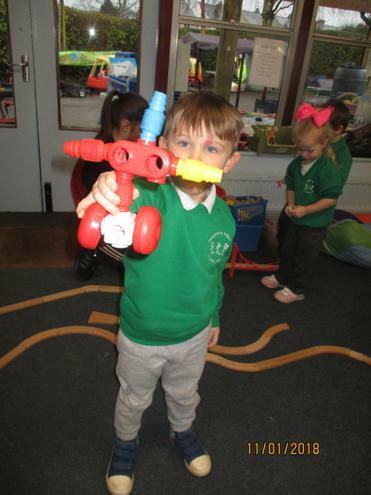 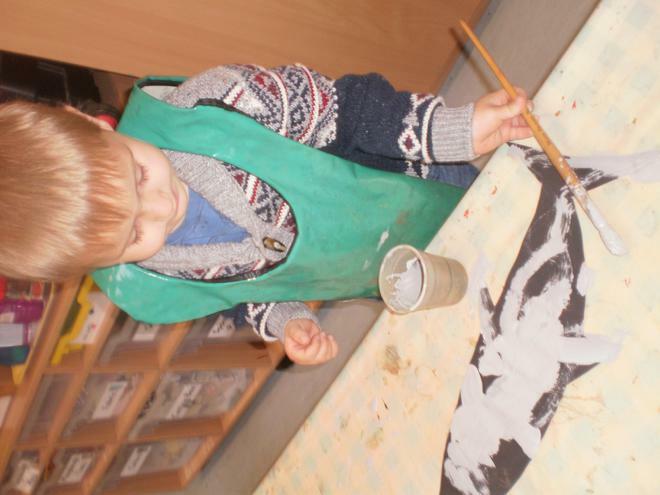 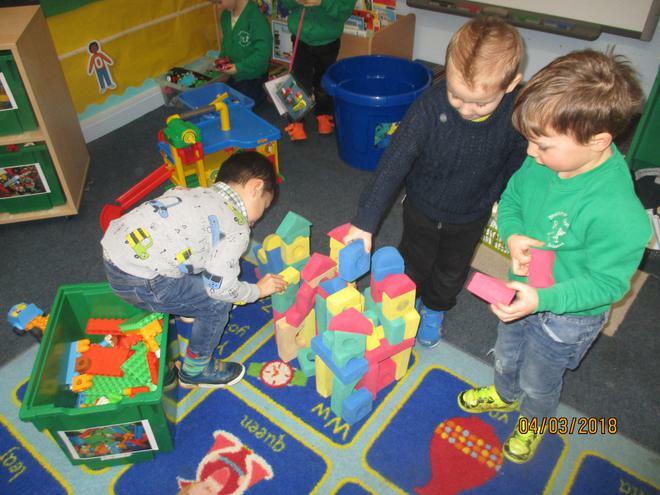 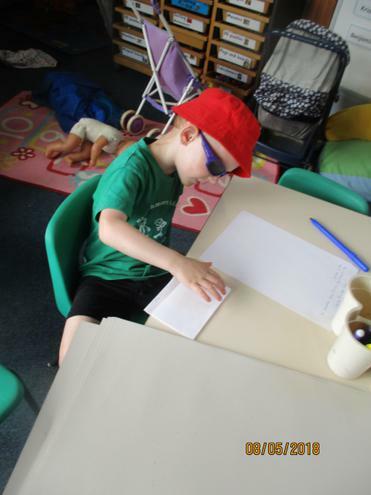 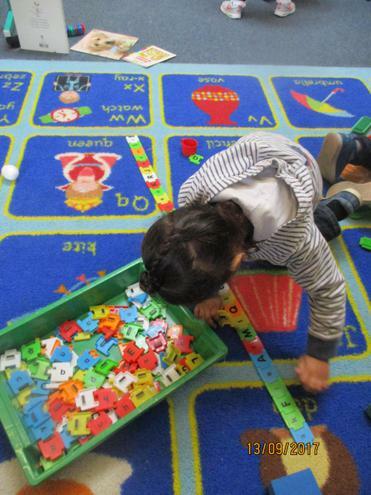 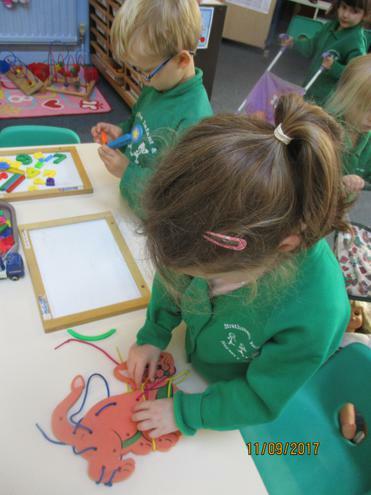 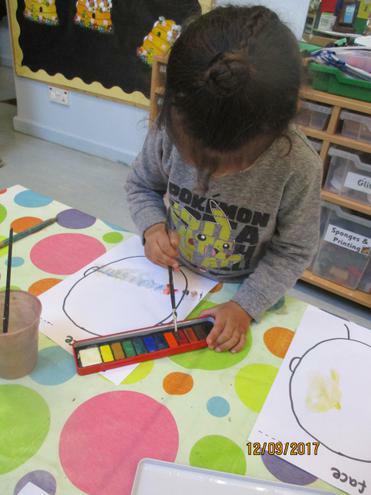 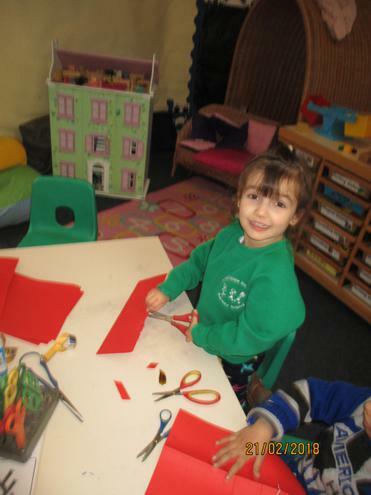 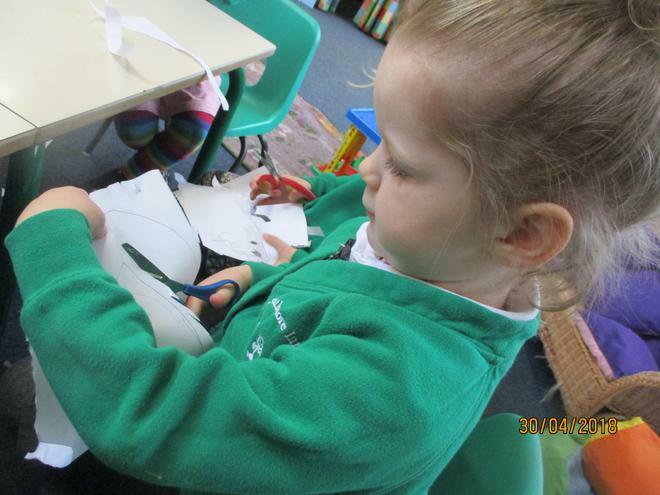 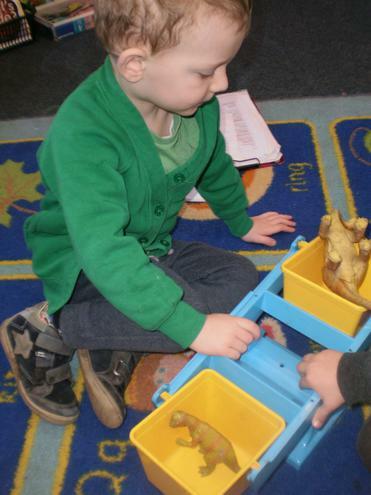 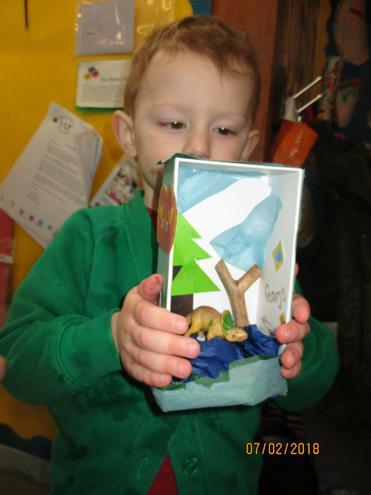 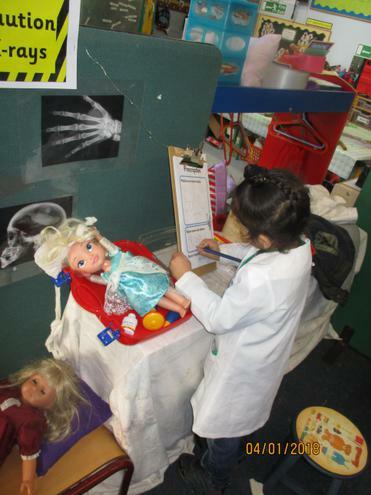 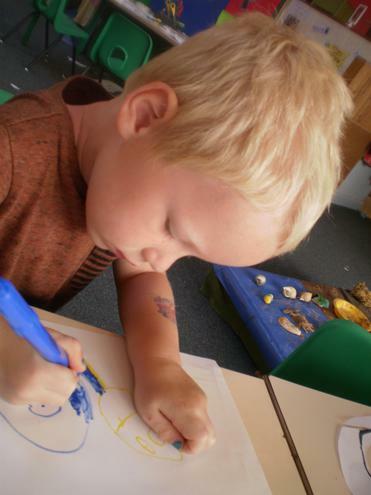 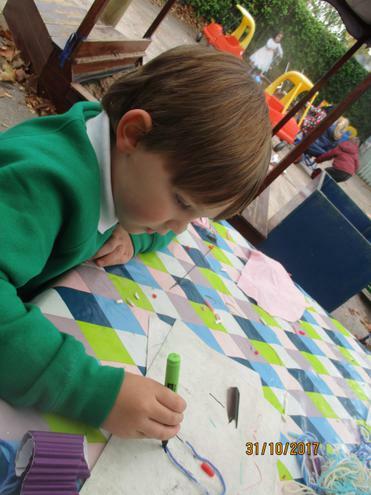 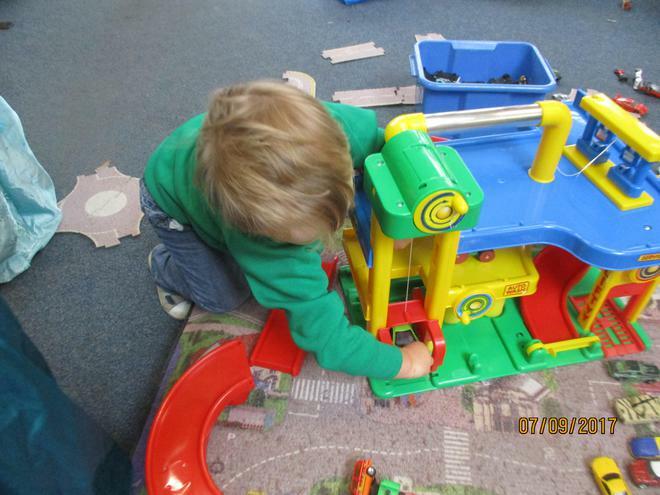 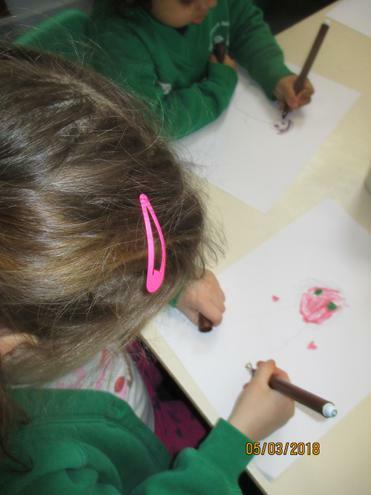 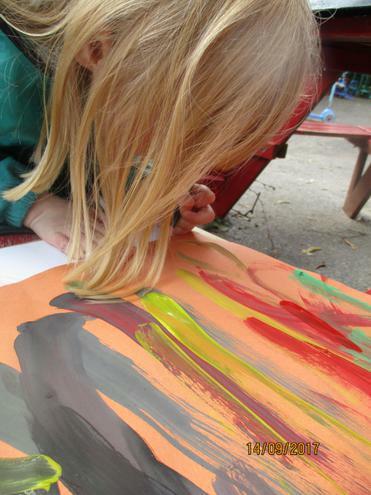 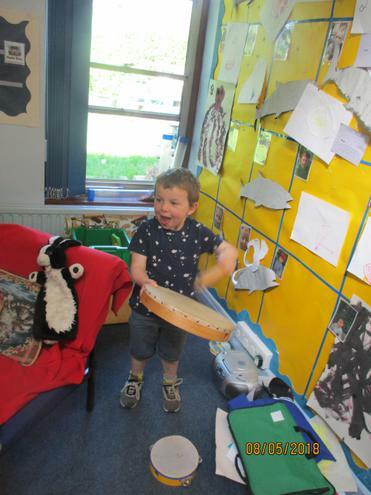 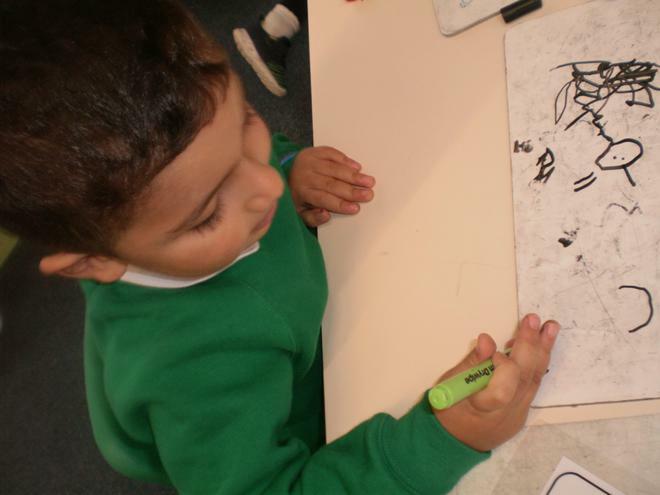 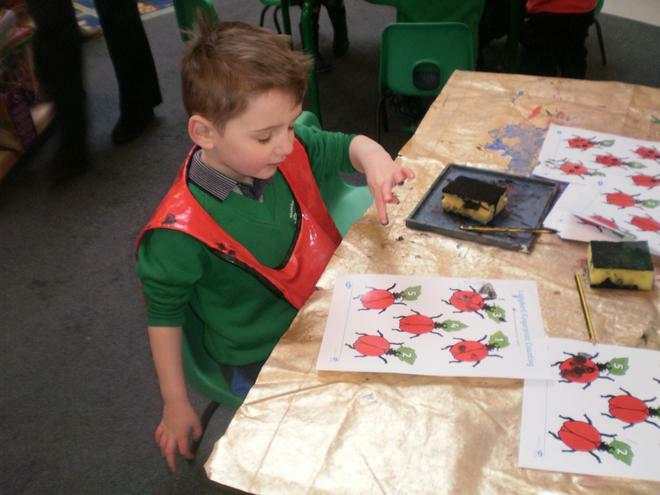 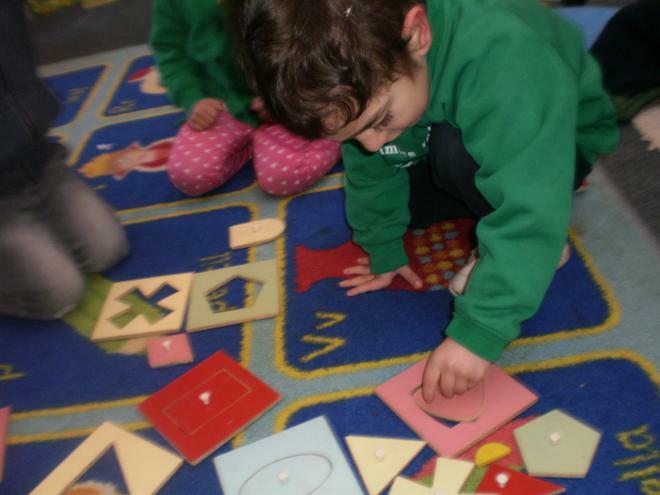 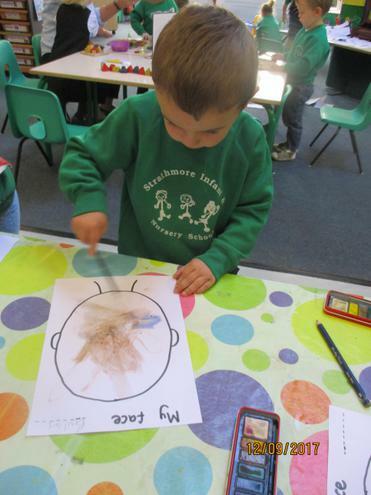 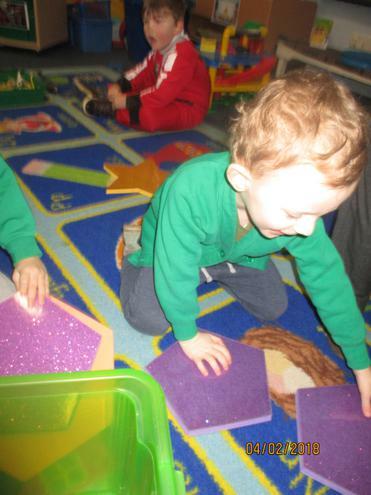 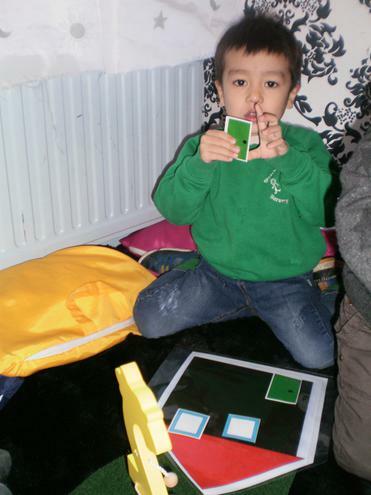 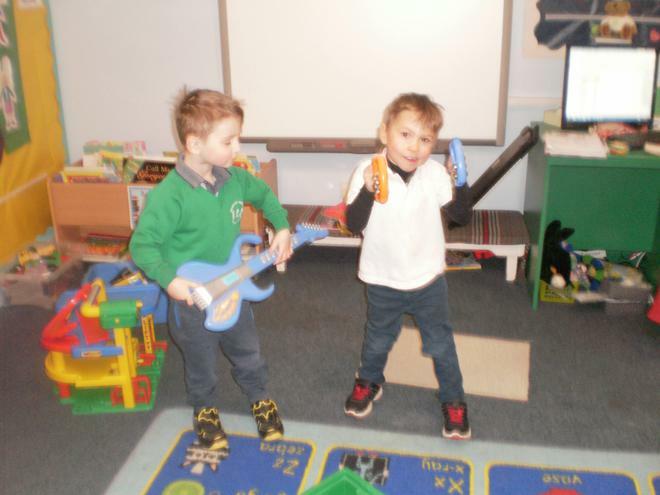 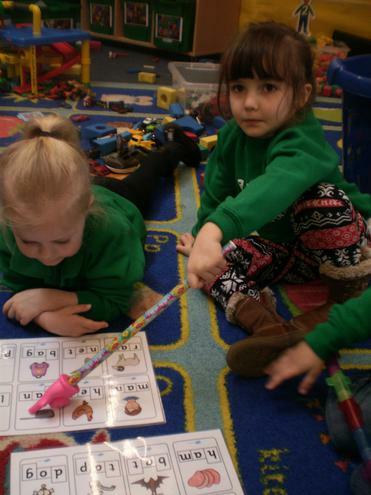 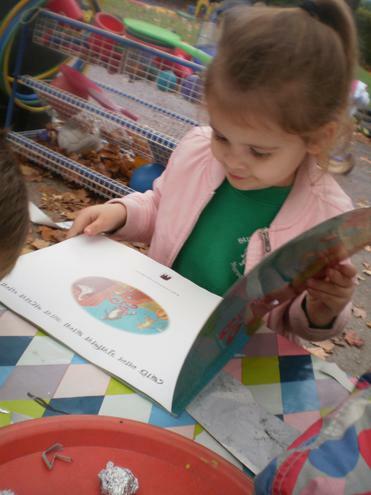 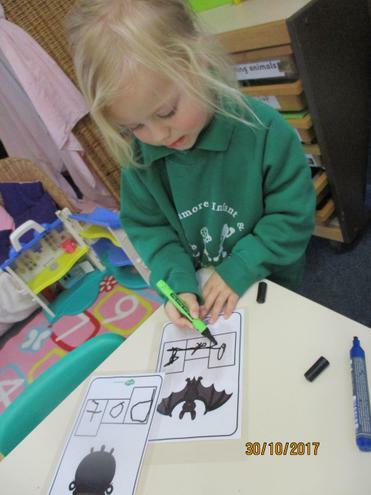 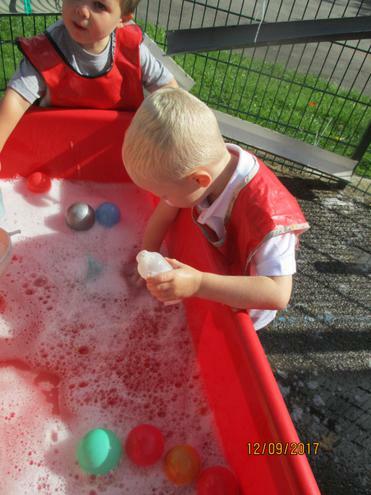 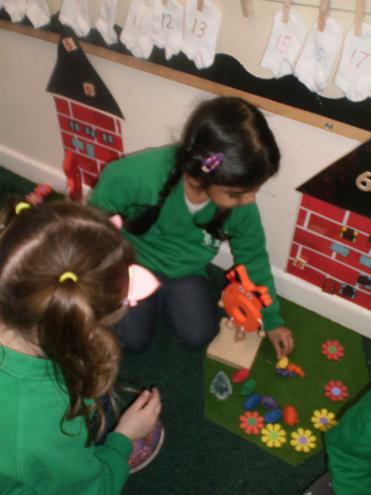 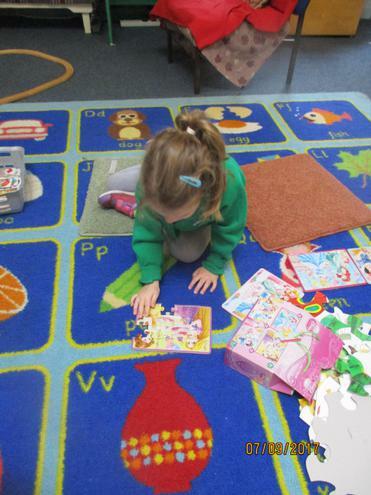 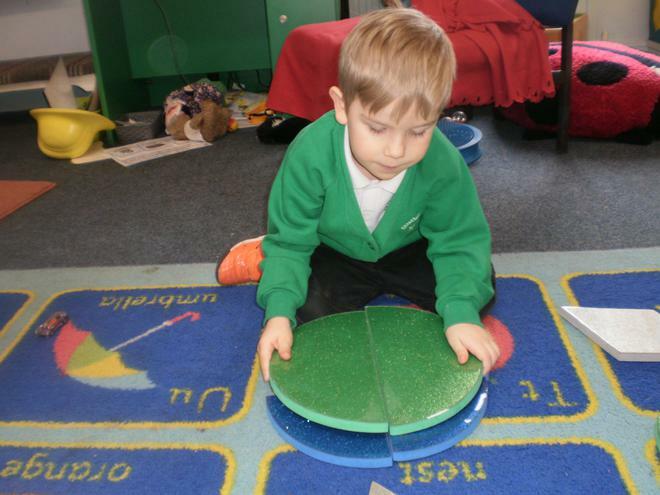 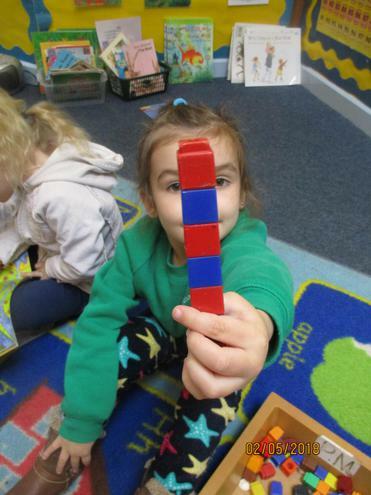 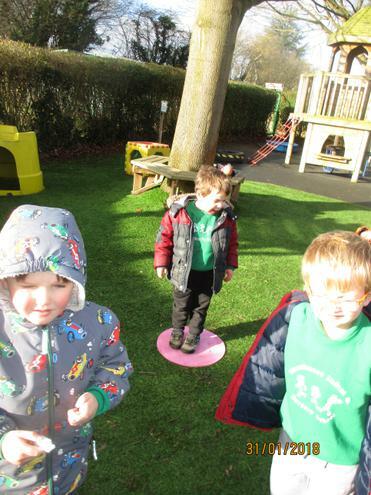 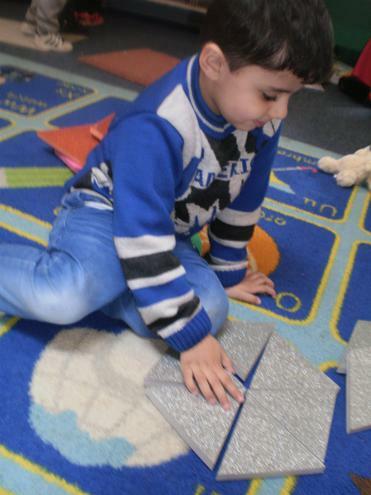 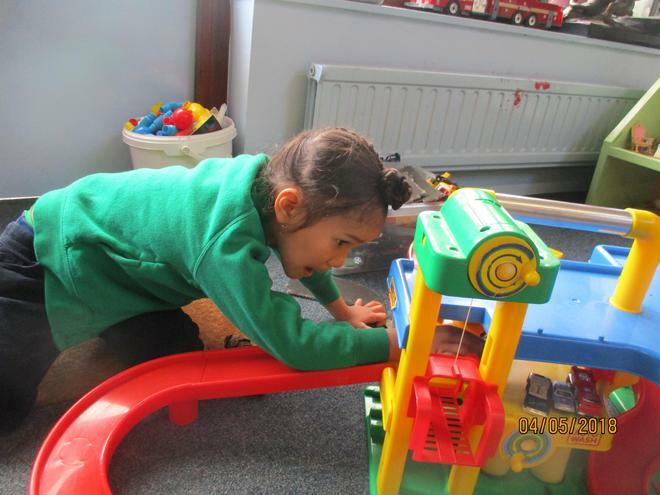 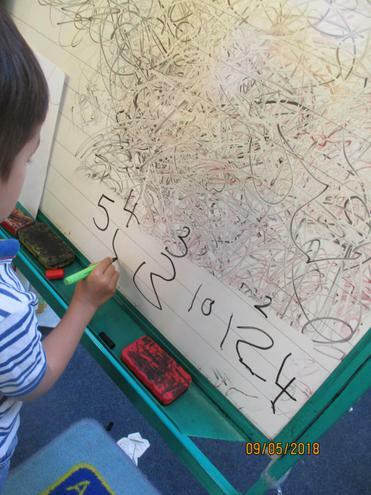 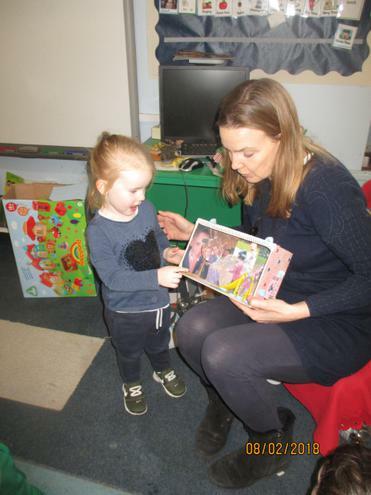 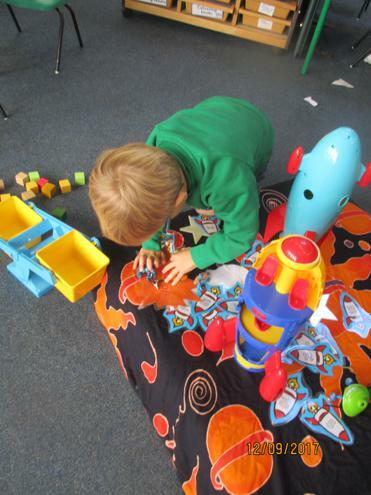 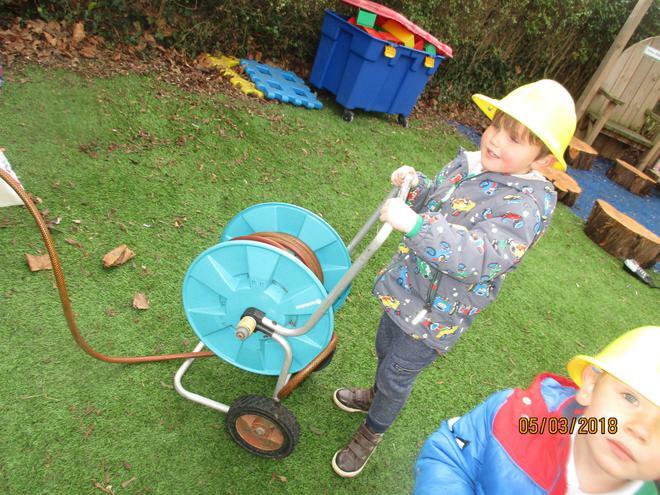 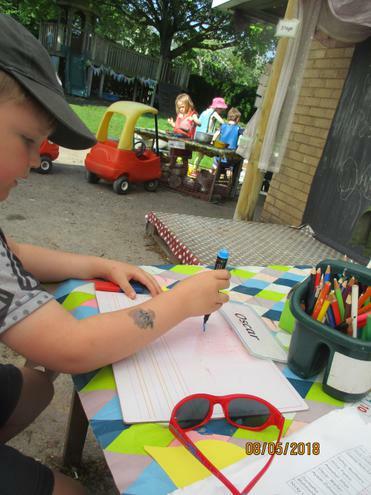 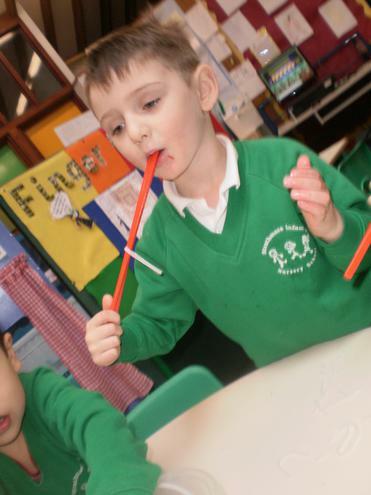 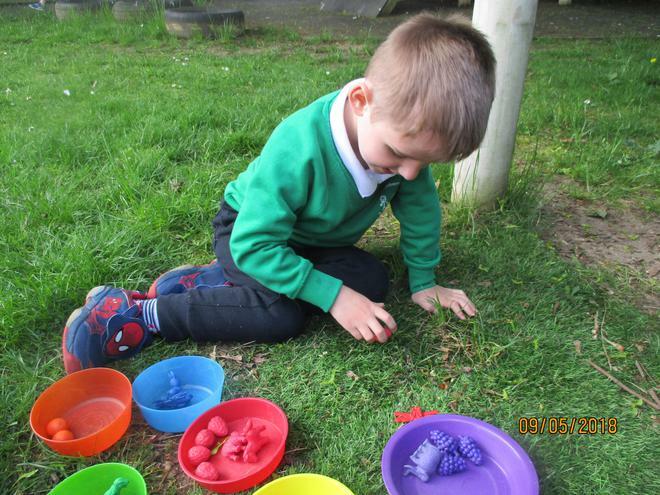 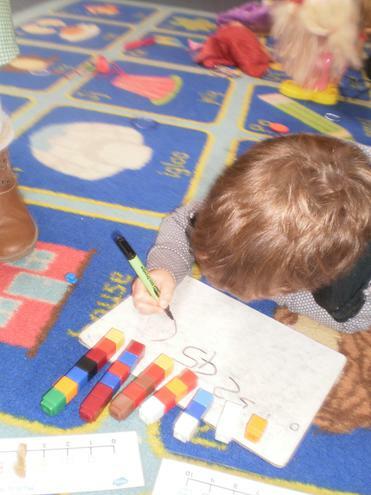 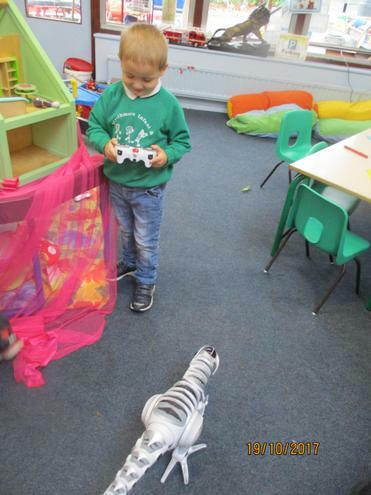 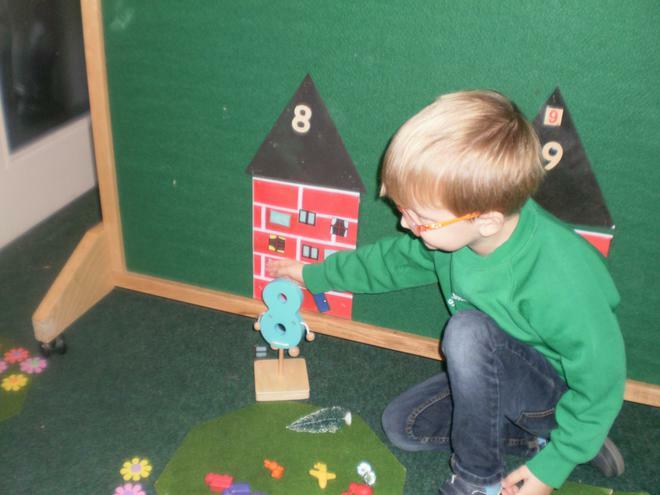 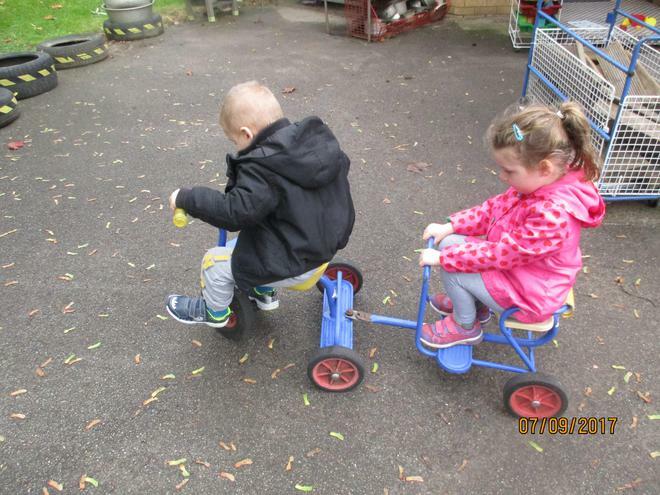 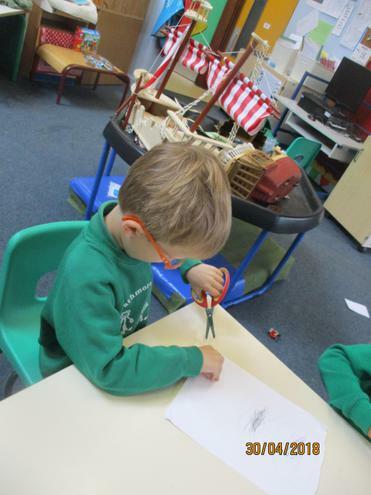 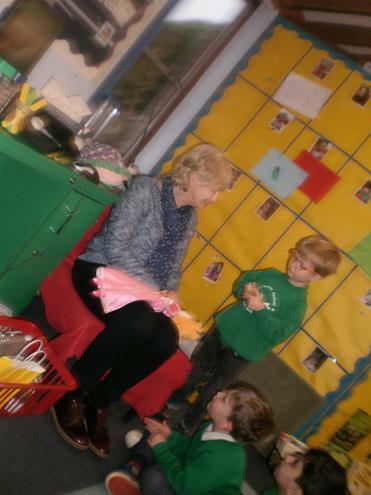 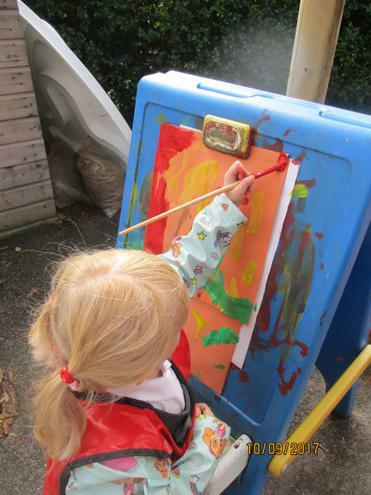 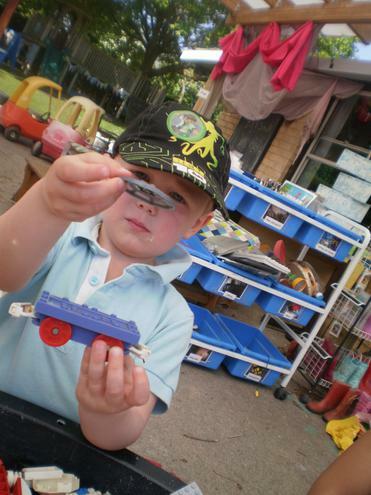 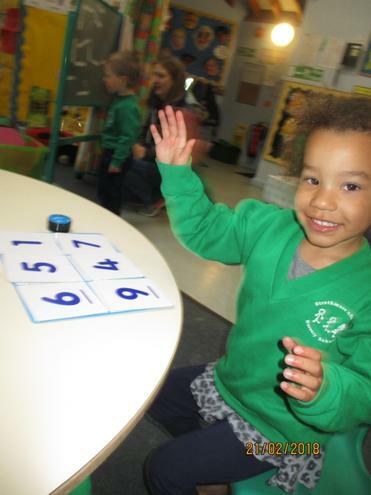 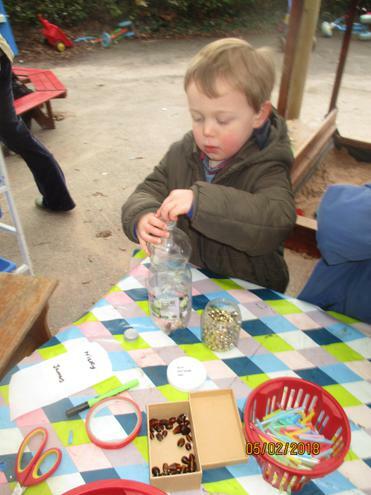 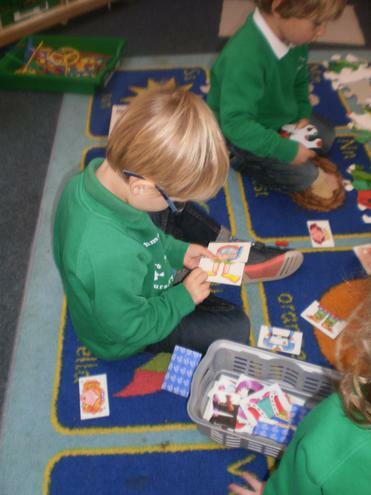 Children learn about different areas of the curriculum in small group activities, which are led by all the adults in Nursery on a rotational basis. 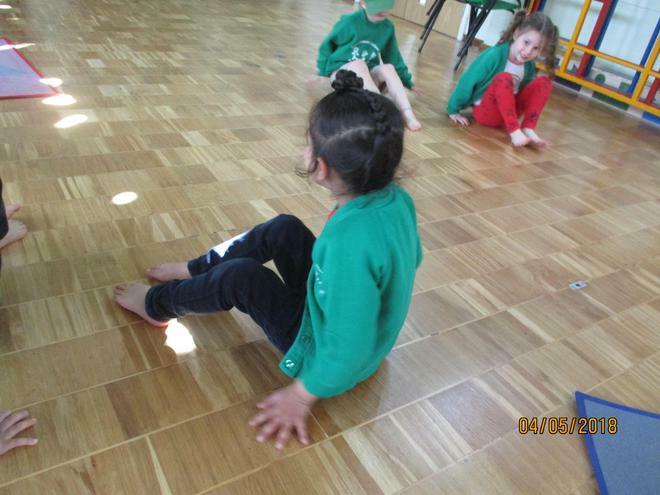 At the end of the session the children listen to a story before getting ready to go home, or to lunch club. 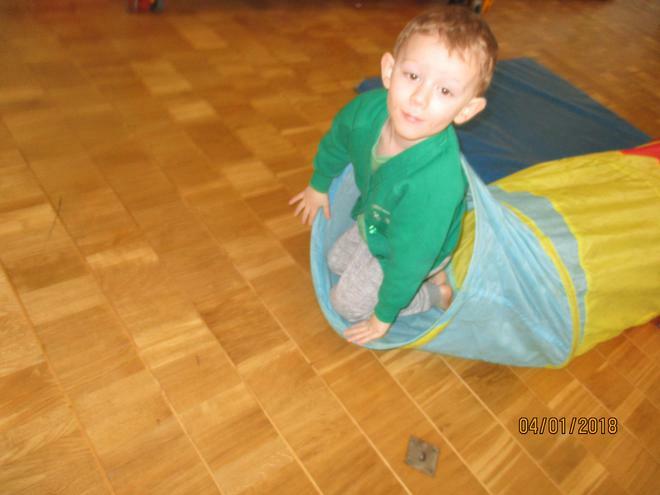 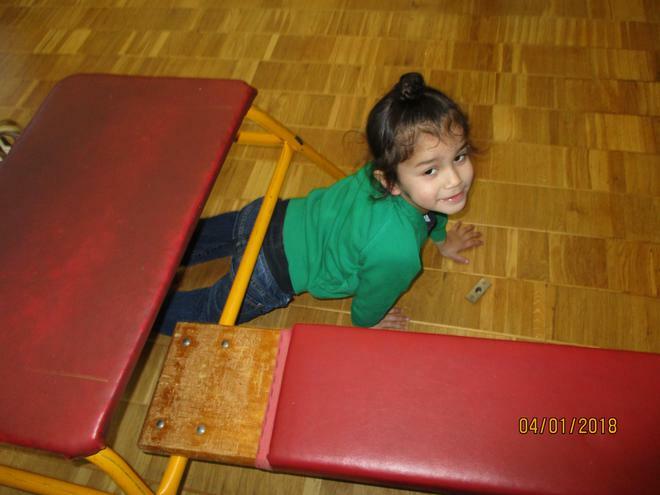 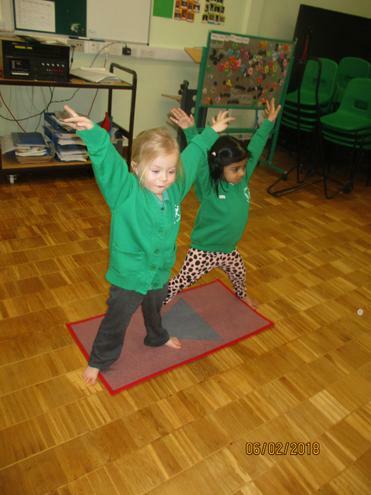 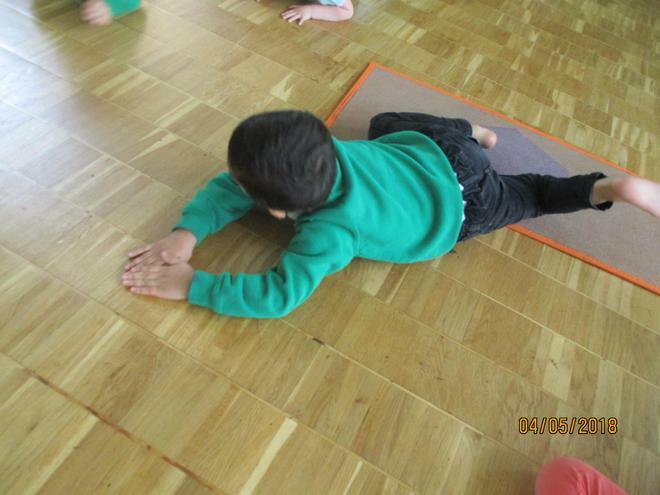 On a Friday nursery children take part in PE using the main school hall. 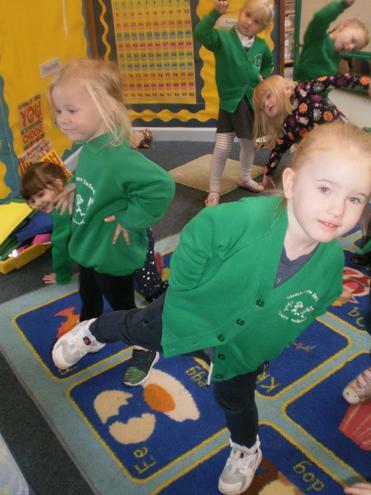 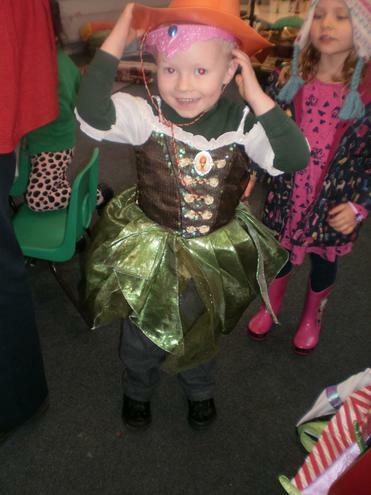 Nursery children sometimes attend the assemblies in the main school and parents are welcome to watch.